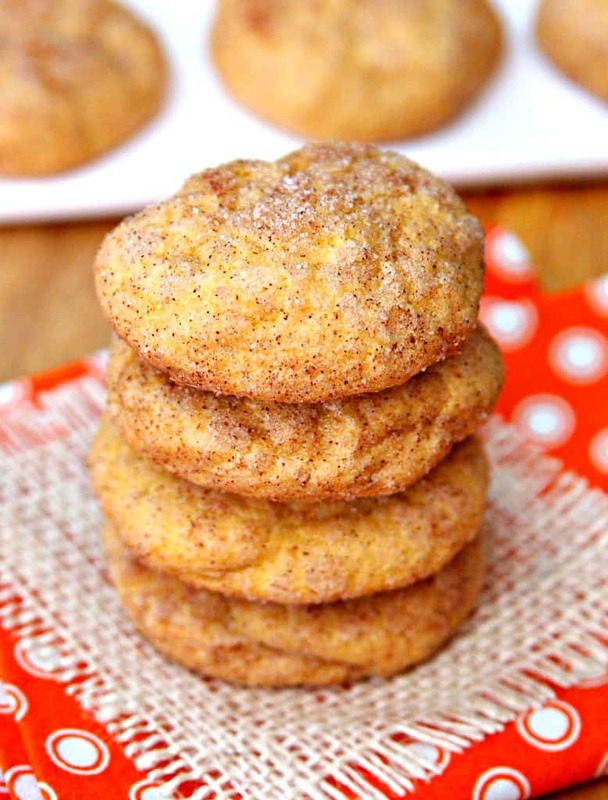 These soft and chewy pumpkin snickerdoodles are the perfect combination of cinnamon, sugar, and pumpkin. Perfect for a chilly fall day! 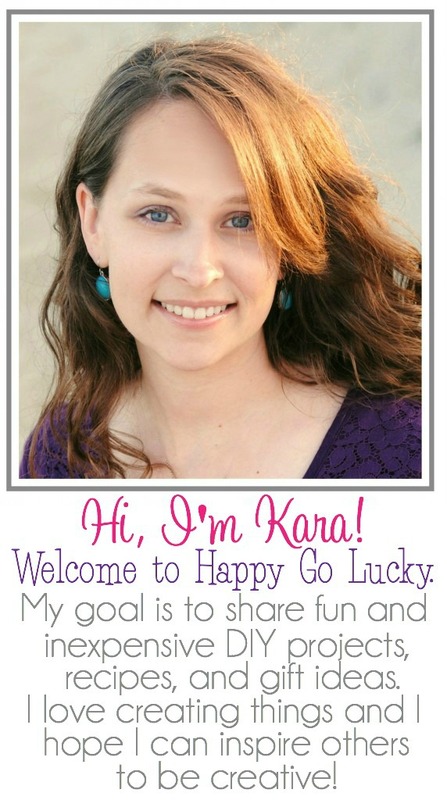 My husband loves anything pumpkin – pumpkin beer, pumpkin candles, pumpkin body wash, and of course, pumpkin desserts. This is his favorite time of year because you can find pretty much everything with pumpkin. He also loves snickerdoodles so I surprised him with these pumpkin snickerdoodles. Once a week he has to stay on the ship for 24 hours and I like to pack him a little surprise in his lunch. I knew these cookies would be a major hit and I packed enough for him to share with the guys in his division. Mix together butter, sugar and brown sugar using an electric mixer. Add pumpkin puree, egg, and vanilla and continue to mix until well blended. In separate bowl, whisk together the flour, baking powder, salt, and pumpkin pie spice. Gradually add the dry ingredients to the wet ingredients and mix until fully incorporated. Preheat oven to 350degrees. Mix coating ingredients in small bowl. Form dough into 2 inch balls. Roll into the sugar mixture and set on cookie sheet. Bake for 14-16 minutes. Let cool on baking sheet for about 5 minutes, then transfer to wire rack to cool completely. Thank goodness for ziplock bags! 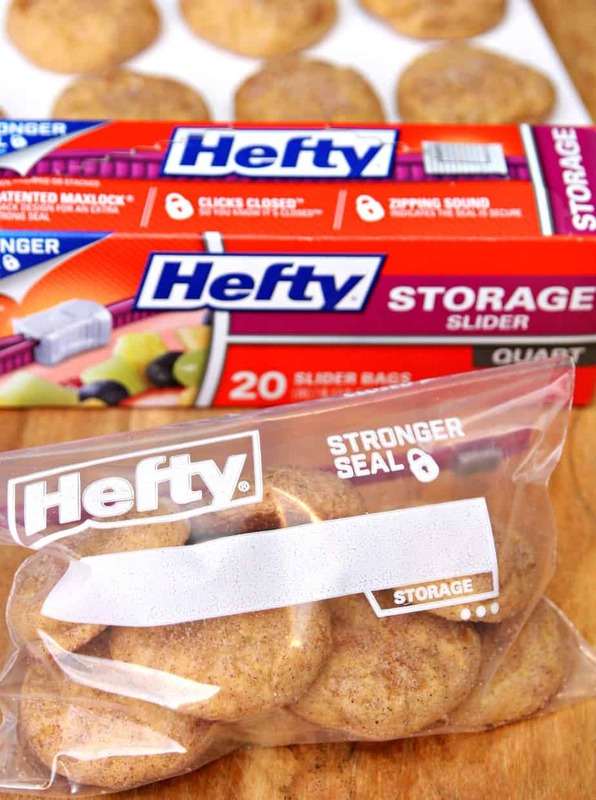 I can store all my favorite cookies and dessert bars in Hefty Storage Bags when packing them in my hubby’s lunch. 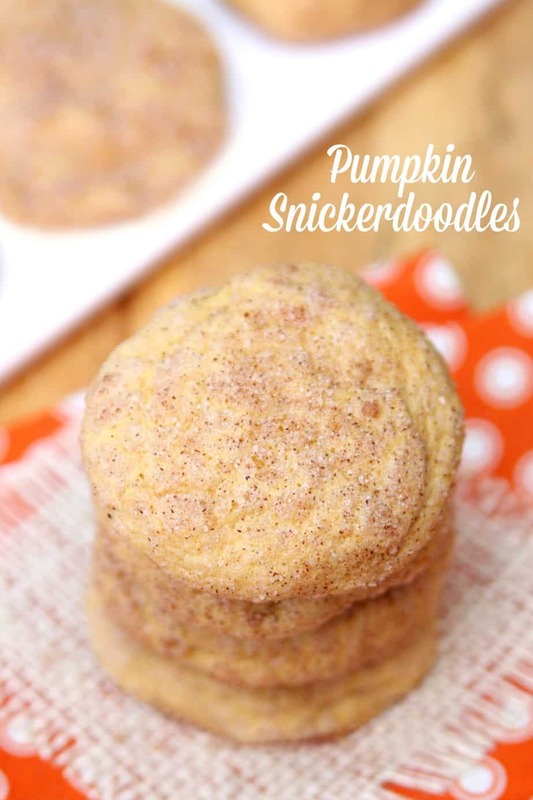 I also think I’m going to whip up a batch of these pumpkin snickerdoodles for Thanksgiving to take home to my parents with me. I can even freeze them ahead of time and store them in Hefty Freezer Bags. Then all I have to do is grab the bag from the freezer on my way out of town. And, did you know you can make most of your favorite Thanksgiving recipes ahead of time? I had no idea there were so many make-ahead Thanksgiving dishes. All you need are Hefty Storage and Freezer Bags and you can make Thanksgiving meal prep so much easier! Here’s an awesome guide to help you plan out your Thanksgiving meal prep. 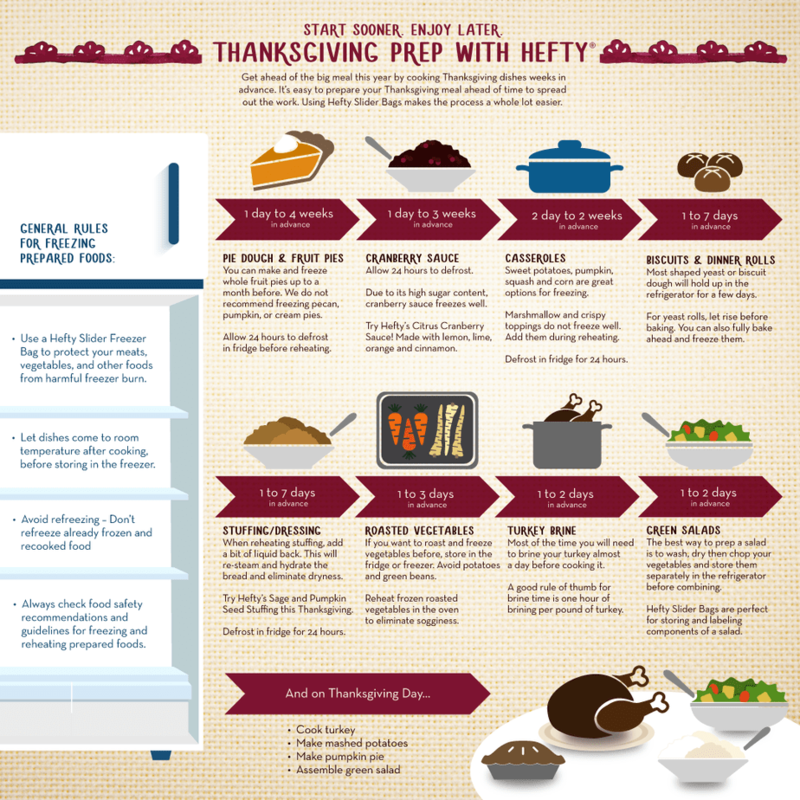 You can actually start preparing side dishes now with the help of Hefty. I love the idea of preparing food ahead of time. It just makes the holiday more enjoyable and less stressful. Now I just need to convince my mom to do this.